There are a few ways to get what's trapped in your head onto a t-shirt or other apparel. First we start with design. We work with you to make your vision and reality. Once the design is to your liking, now it is a matter of how many. We can go screen printed, embroidered, or as a vinyl cut heat transfer. We start the screen printing press up once your order has reached twelve pieces or more. Feel free to mix styles, just as long as we get to print a minimum of 12 pieces. In house, we have the capability to print up to 6 colors. Anything more, we would recommend a digital cut transfer. We guarantee the print will last longer than the shirt itself. We have the ability to print your image right onto a vinyl that transfers to your shirt with a little heat, for something that has more spot colors than photo quality images, we would recommend a vinyl cut heat transfer. This is the best option for only getting a couple shirts, and we also use this process to name and number all jerseys that come out of our shop. Wear it once a week and wash every wear, we see these lasting about 2-3 years before the vinyl started to peel off the shirt. This process is best used on jackets, hats, and polos. 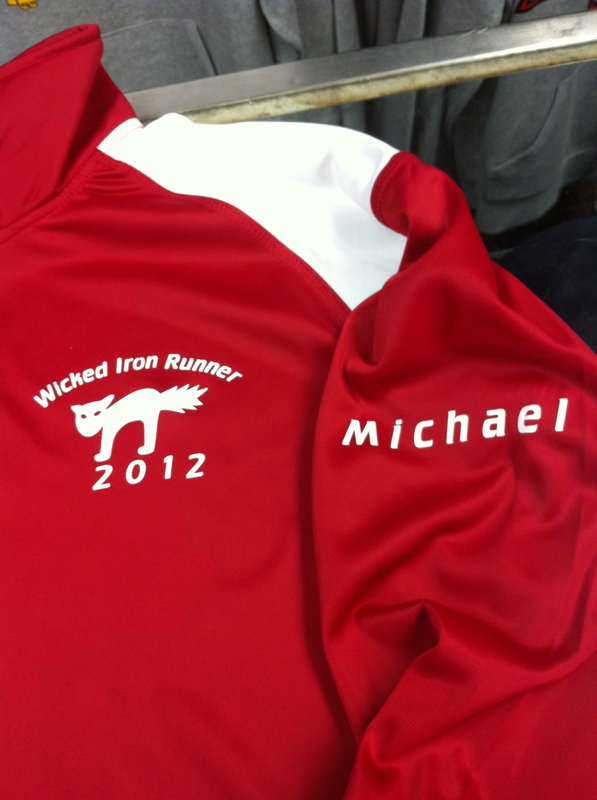 With quality digitizing, we are able to produce your product in a timely manner with tight stitching. Whatever you are looking for, we are here to help you with all your apparel needs. For pricing, Call or Email us today.